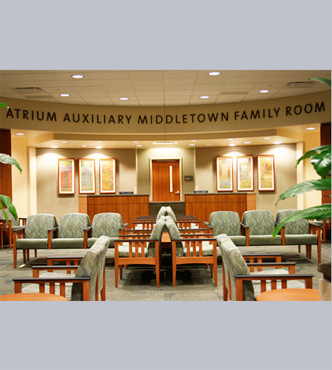 Premier Health Partners’ Atrium Medical Center, located in Middletown, Ohio, selected The Art Company to provide a comprehensive art program for the 5 story, 250 patient bed hospital and adjoining Medical Office Building, state-of-the-art Oncology Center and Behavorial Health Center. Many regional artists were used and several significant commissions were made to add to the warmth of the arts & crafts styled facility. NBBJ designed Cincinnati’s The Christ Hospital’s Heart Tower, a state-of-the-art facility committed to becoming the area’s premier heart care hospital. The art program reflects the hospital’s history and commitment to the community with a 7’ limestone sculpture literally depicting the history of the hospital. 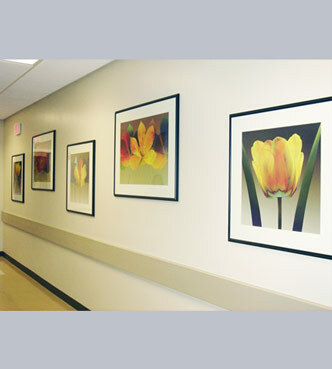 The healing nature of the art continues in more recent projects including the Carl H. & Edyth Lindner Heart Failure Treatment Center, a Cath Lab, Radiology and Nuclear Medicine centers. 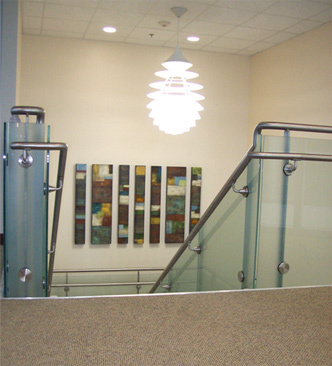 Located in Terra Haute, Indiana, the Union Hospital HUX Cancer Center’s upscale contemporary architecture required an extraordinary stairwell. The solution came through a request from The Art Company to a California-based artist, whose custom-box design complements the architect’s vision. Located in Bloomington, Indiana, the Internal Medical Associates represents many specialties, from general medicine and dermatology to a Sleep Lab. 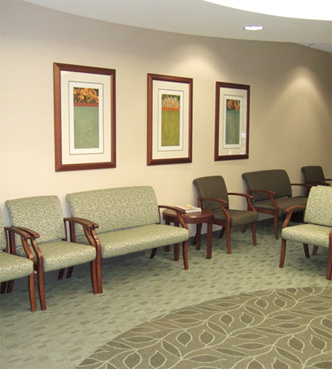 The practices share common space yet have different waiting areas. The Art Company paired a few commission pieces with poster art to present an integrated feel while addressing the unique personalities of each practice. Located in Mason, a suburb of Cincinnati, The Lindner Center of Hope is a 2-story care and treatment center providing the latest, research-based care for adults and children suffering from all forms of mental illness. 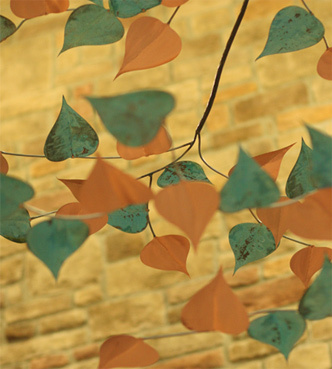 The Art Company worked with several local and nationally known artists to provide upscale, modern artwork to create a soothing, peaceful sanctuary full of hope. 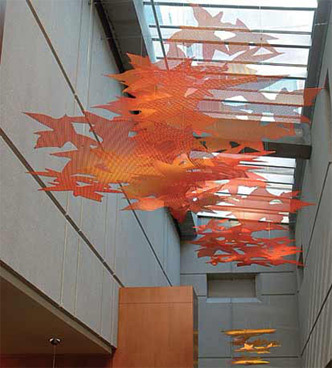 Wabash Valley Surgery Center, located in Terra Haute, Indiana, turned to The Art Company to provide artwork that presents a contemporary feel while creating a healing environment for patients and families.